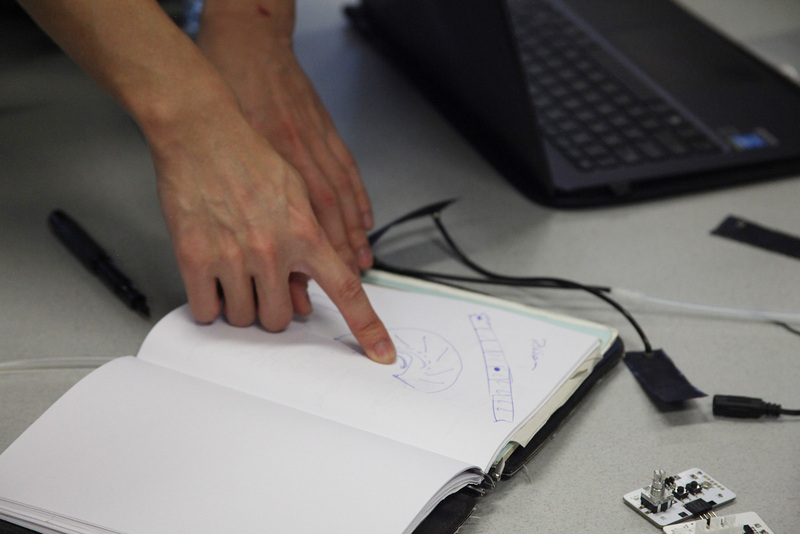 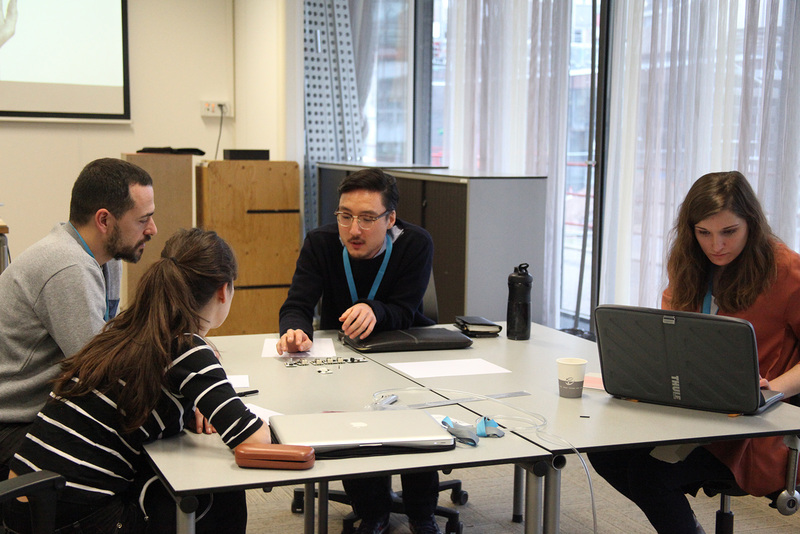 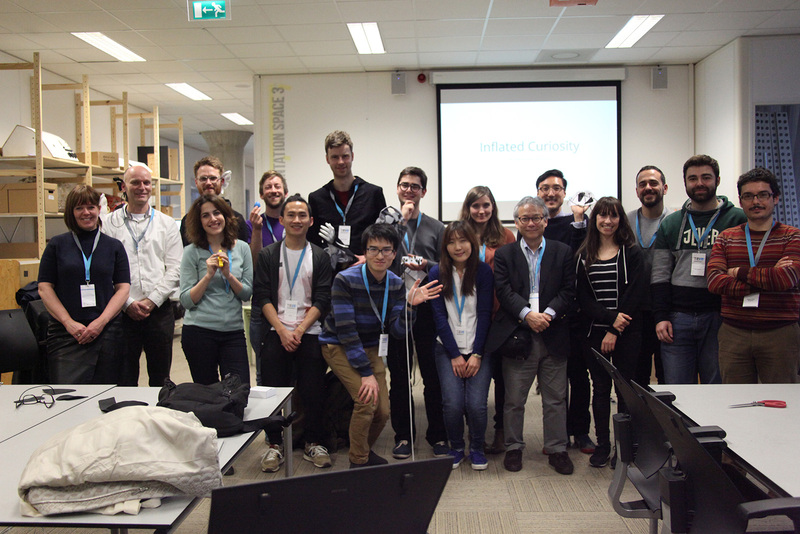 The ACM International conference on Tangible, Embedded and Embodied Interaction (TEI) addresses issues of human-computer interaction, design, interactive art, user experience, tools and technologies. 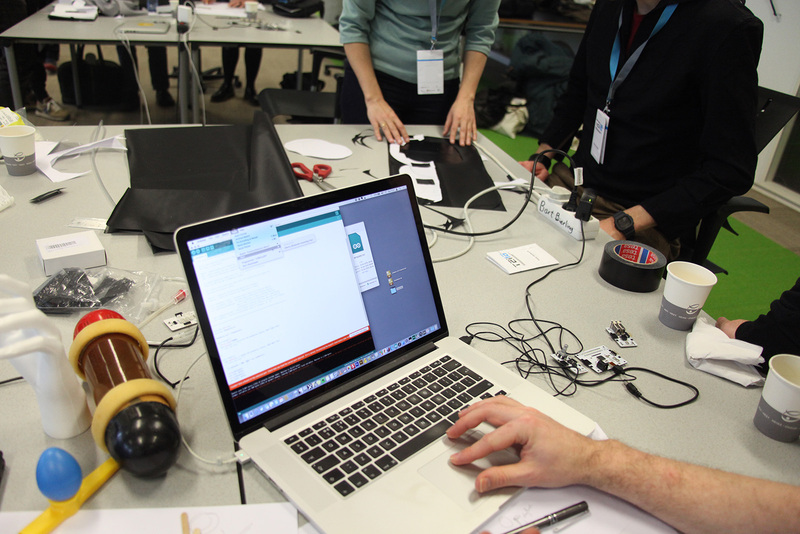 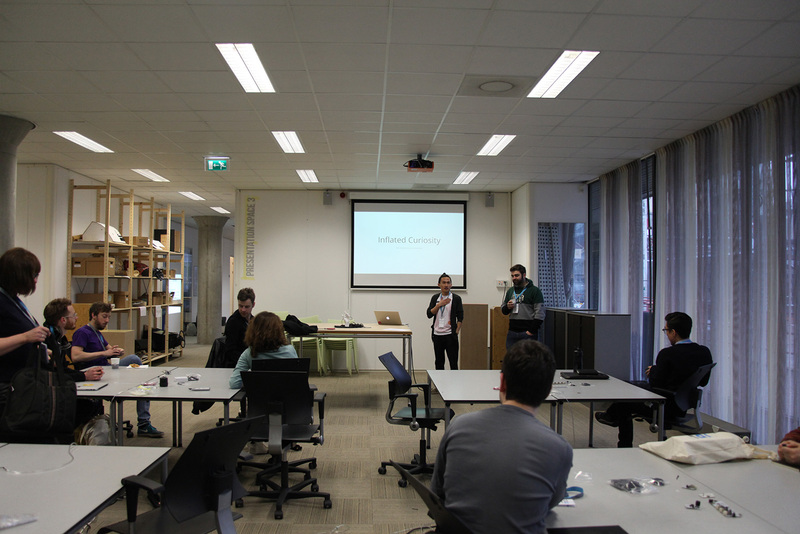 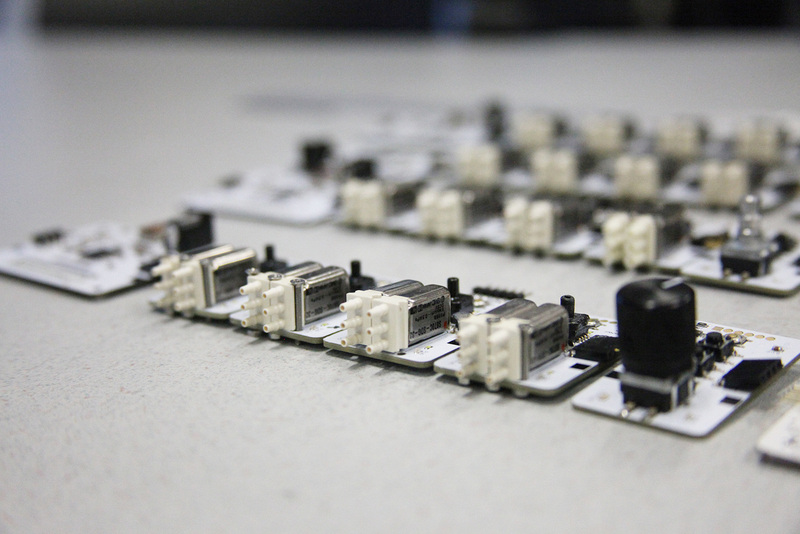 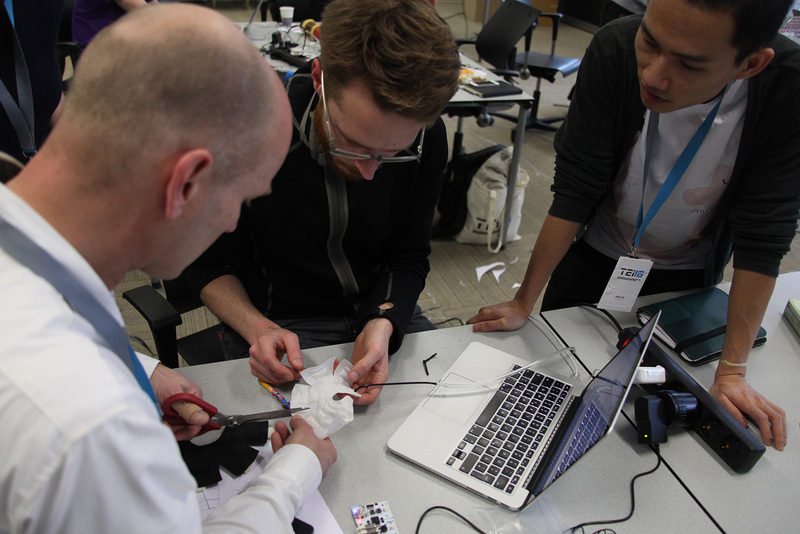 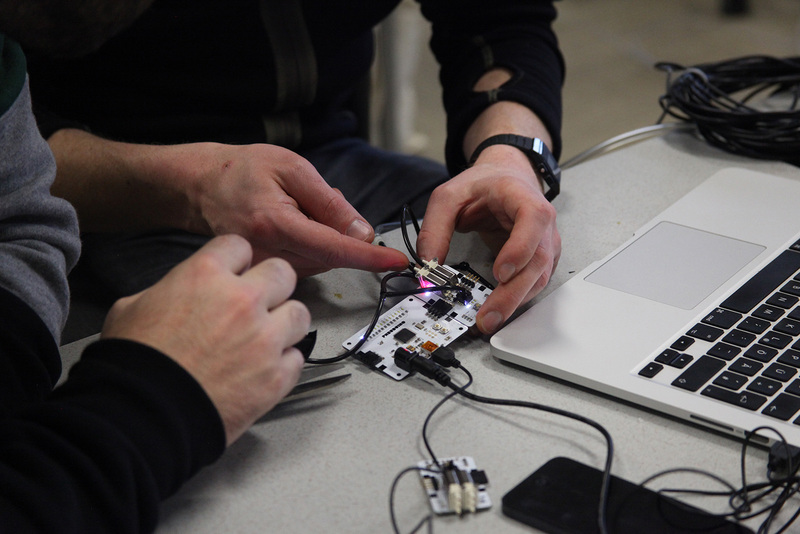 This year, we brought Pneuduino to the conference, and hosted a one-day workshop with HCI researchers from all over the world. 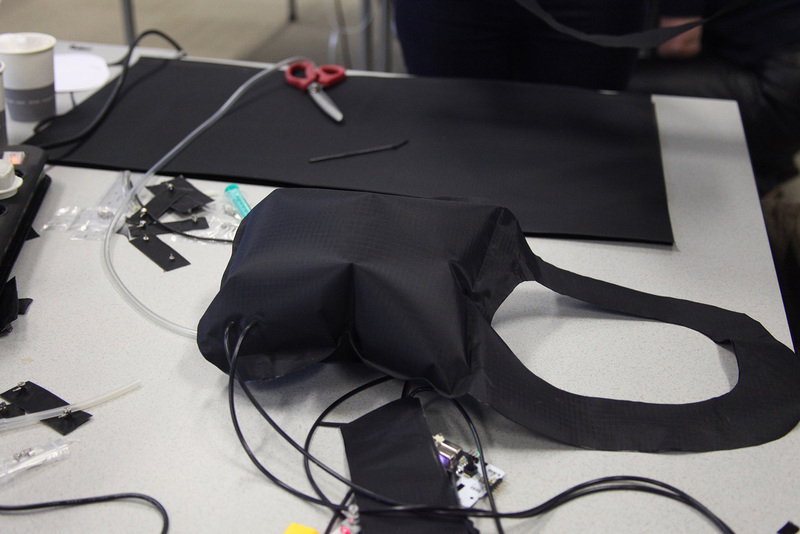 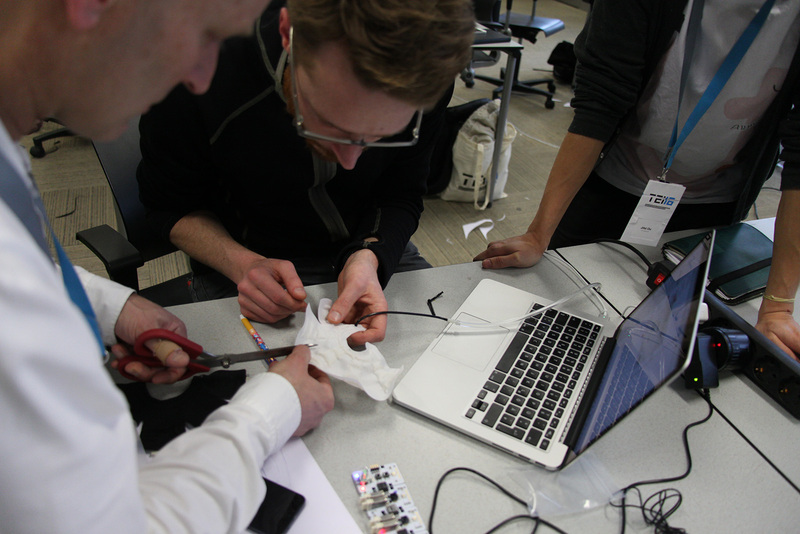 The workshop introduces methods of making and controlling inflatable fabric. 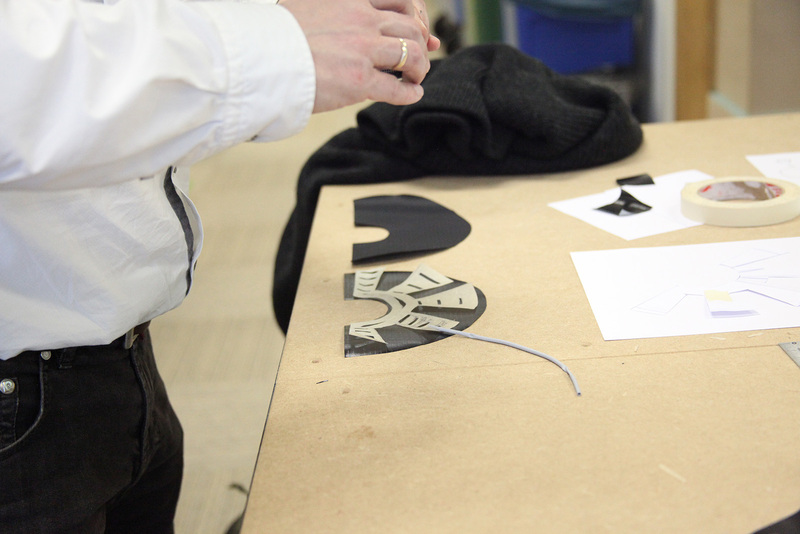 We provide materials and simple fabrication processes that enable designers to rapidly prototype inflatables with simple hinging transformations or texture change. 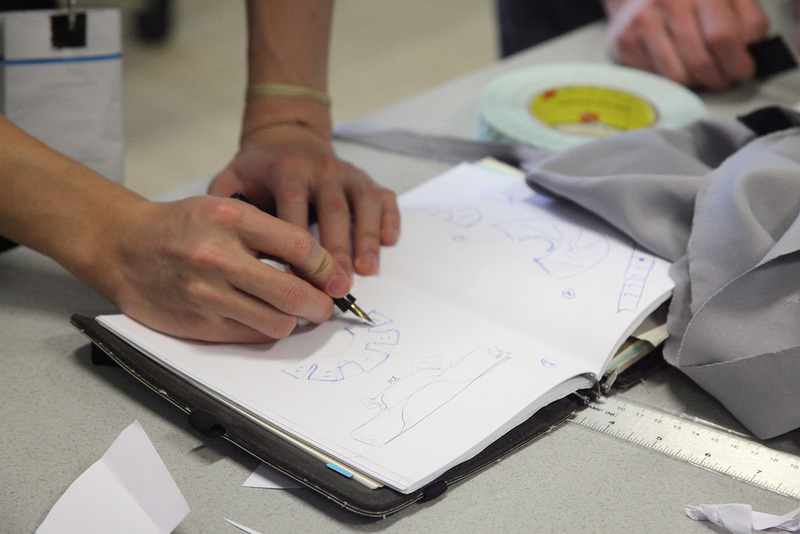 Furthermore, we introduce a customized hardware that enables designers to rapidly prototype inflatable fabric. 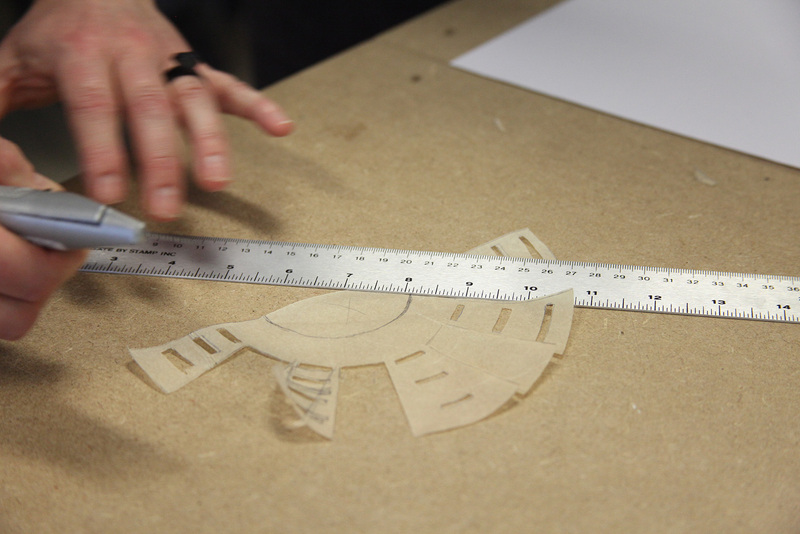 The goal of this studio is to provide hands-on experiences of designing inflatable fabric as shape-changing materials and research on shape-changing artifacts. 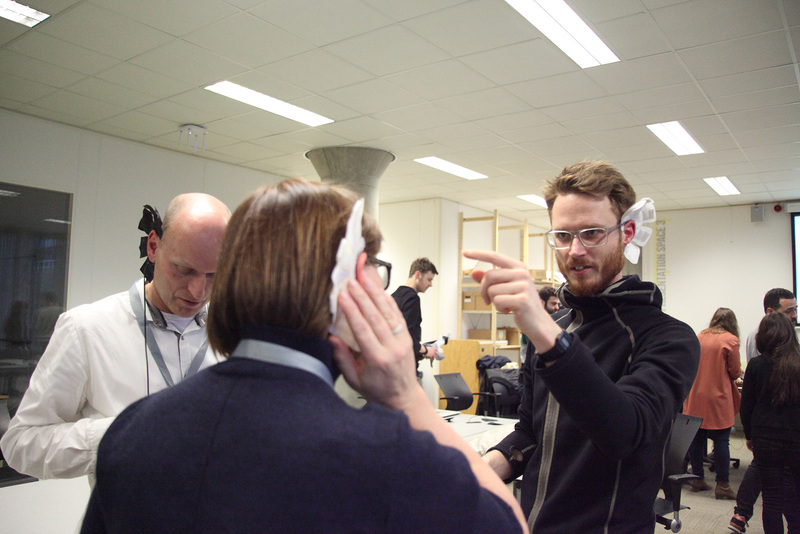 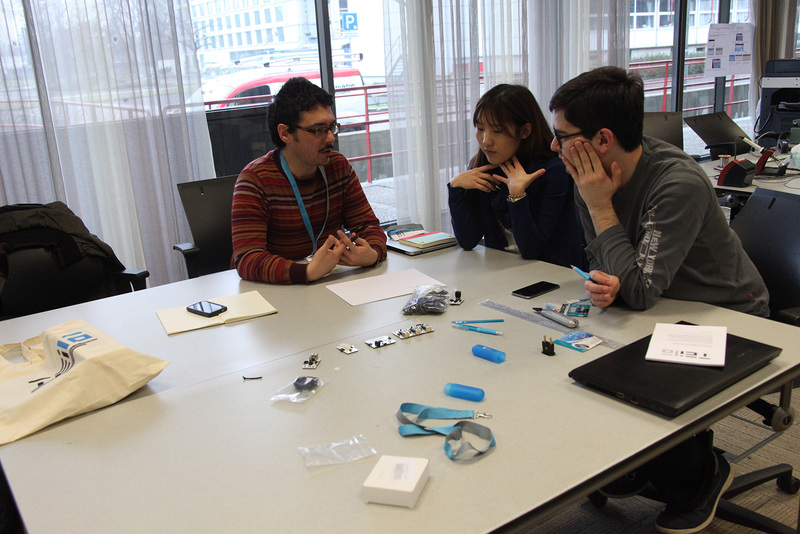 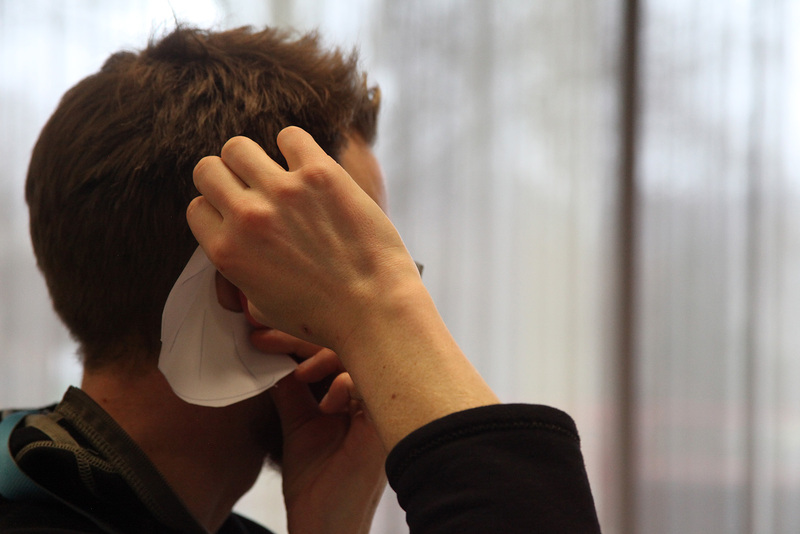 Soft Prosthetics is the theme of this workshop. 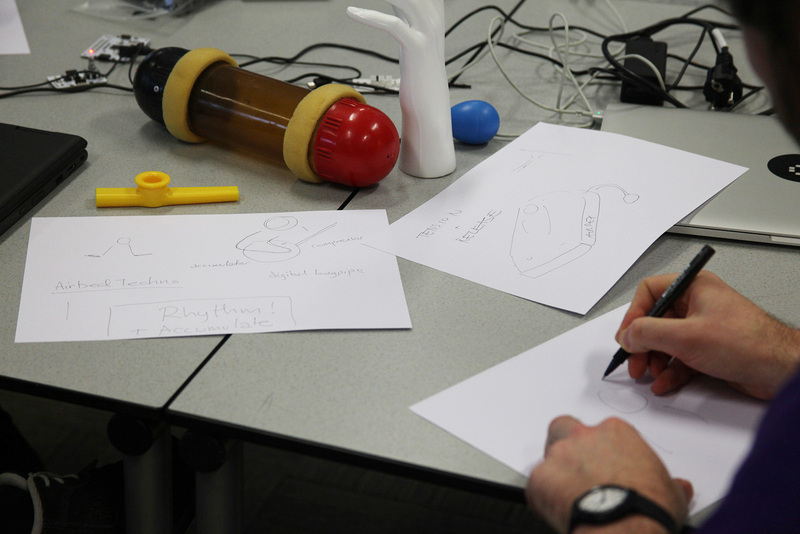 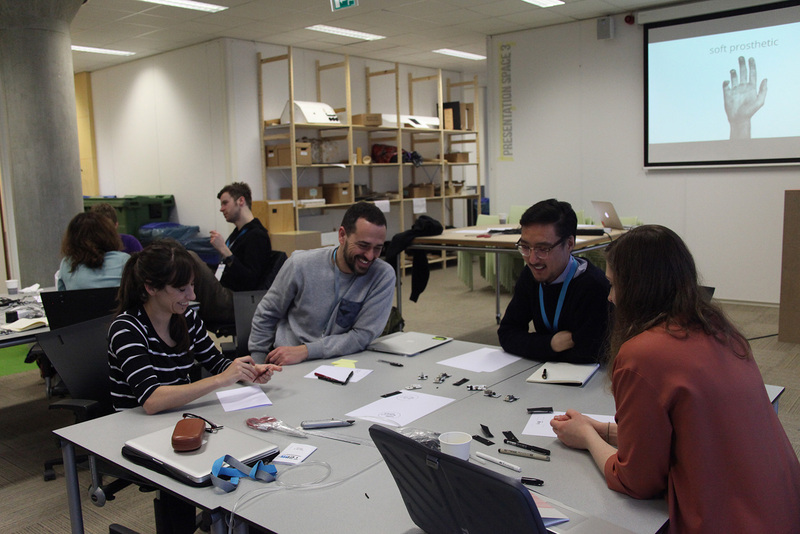 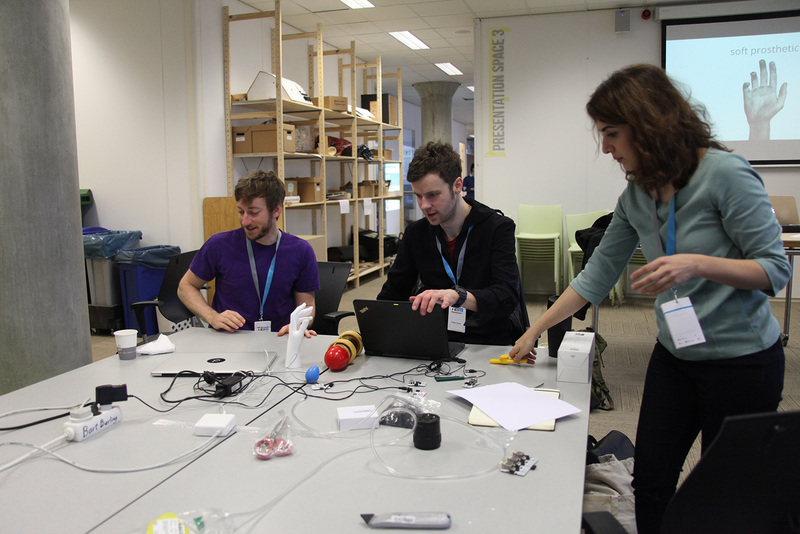 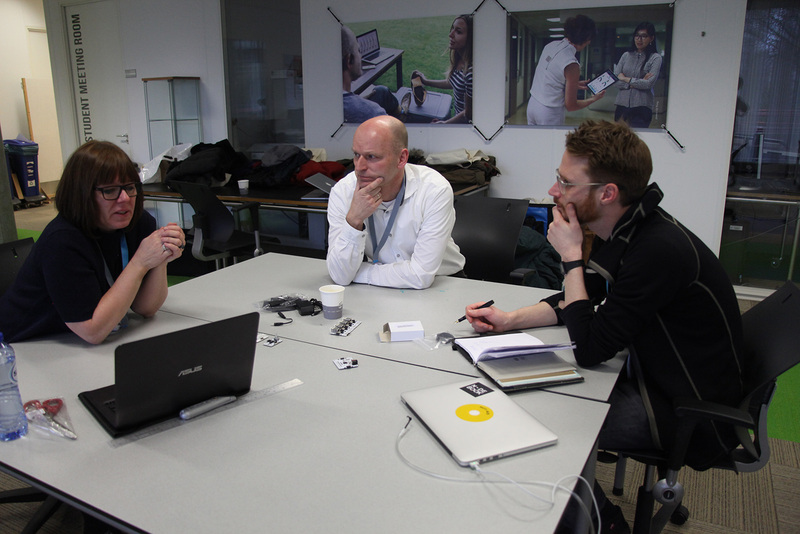 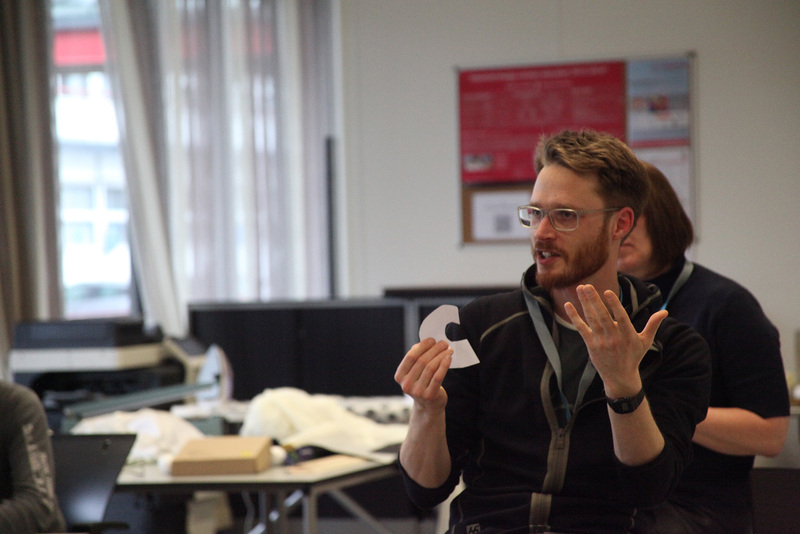 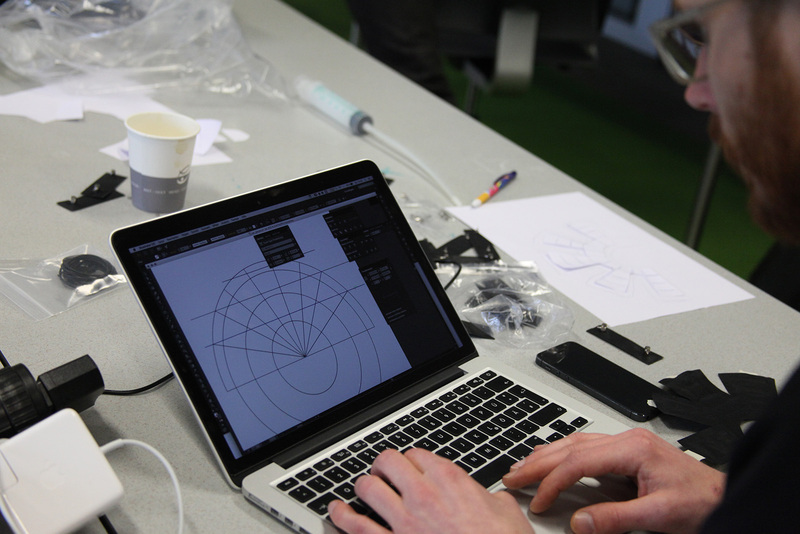 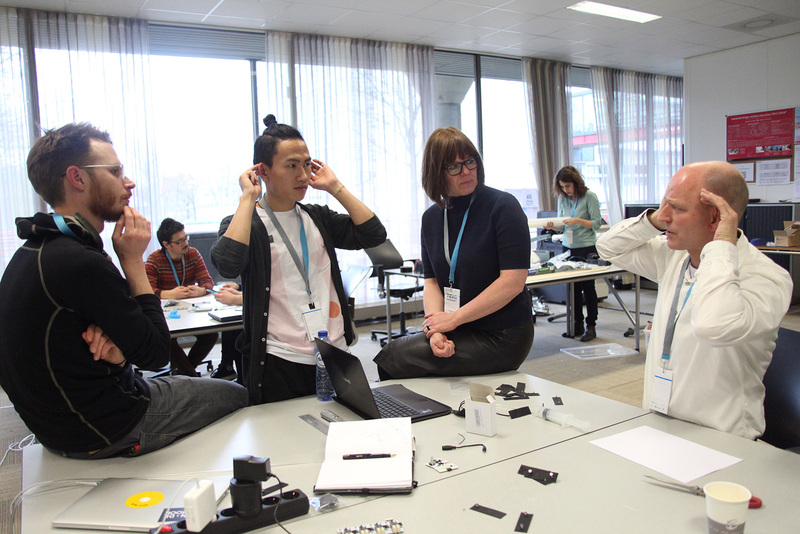 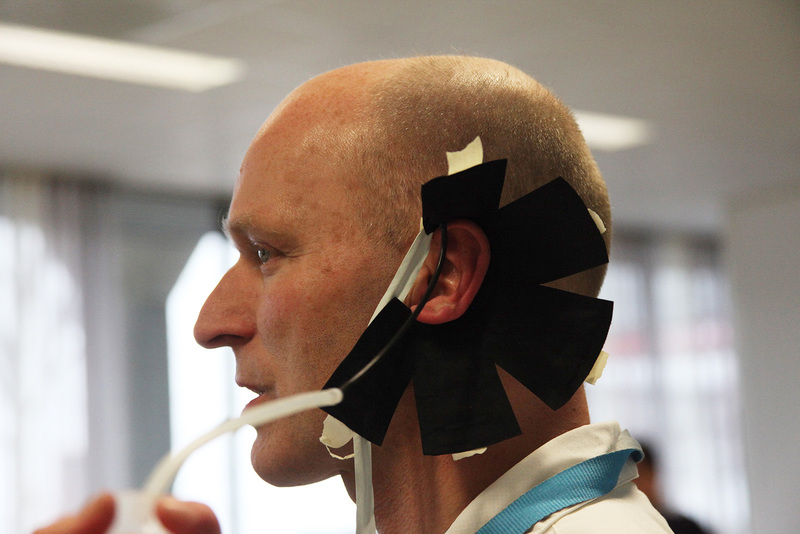 Participants were asked to design inflatable materials that could augment human body.